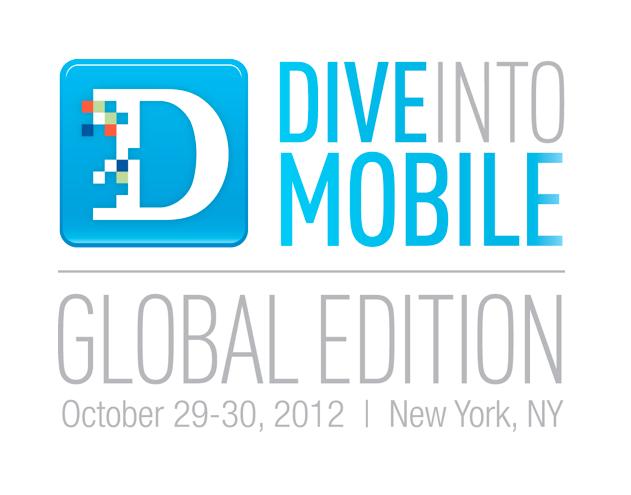 D: Dive Into Mobile kicks off in less than one week, and we at team #dmobile (hashtag alert!) are ready to go. Mobile leaders from Google, Facebook, Nokia, Verizon Wireless, Pandora, Mozilla, WhatsApp, Telefonica and more are set to join us in conversation onstage on Oct. 29 and 30 in New York City. We’ve lined up great new product demos, an interactive app showcase, and a series of short talks by end users from around the world whose lives have been significantly changed by mobile. Ina Fried jetted to New York yesterday to greet the arrival of Microsoft’s Windows 8, and I’m joining her soon, along with Walt Mossberg, Kara Swisher and most of the ATD team. We’ll see many of you at the conference in person (we have just a handful of tickets left available here), and invite the rest to join us for a selection of livestreamed sessions. As with all other D: All Things Digital conferences, Dive Into Mobile won’t be livestreamed in its entirety. But we did pick some winners for you to watch from afar. Note: All times are approximate and subject to change. Due to the nature of a live conference, there may be delays or changes in the schedule. Rubin will be heading to Dive Into Mobile directly from Google’s major Android product launch earlier that day. Mills and Stanton will be having a rare public meeting-of-the-minds between a major social media player and government. Facebook is all about mobile these days, especially now that the Wall Street folks have picked up on how important it is, and its engineering leader Schroepfer (a.k.a. “Shrep”) will address how the company is sprinting to keep pace. And Lin is just days away from the release of the highly anticipated Xiaomi Phone 2, the direct-to-consumer top-of-the-line Android phone that is dramatically shaking up the Chinese market and has implications for the rest of the world.